$30/Month is what is costs to sponsor a child. However, sponsorship is not just money. Sponsorship is EDUCATION! Education is a necessary stepping stool to functioning and thriving in society, yet none of our children have ever been to school. 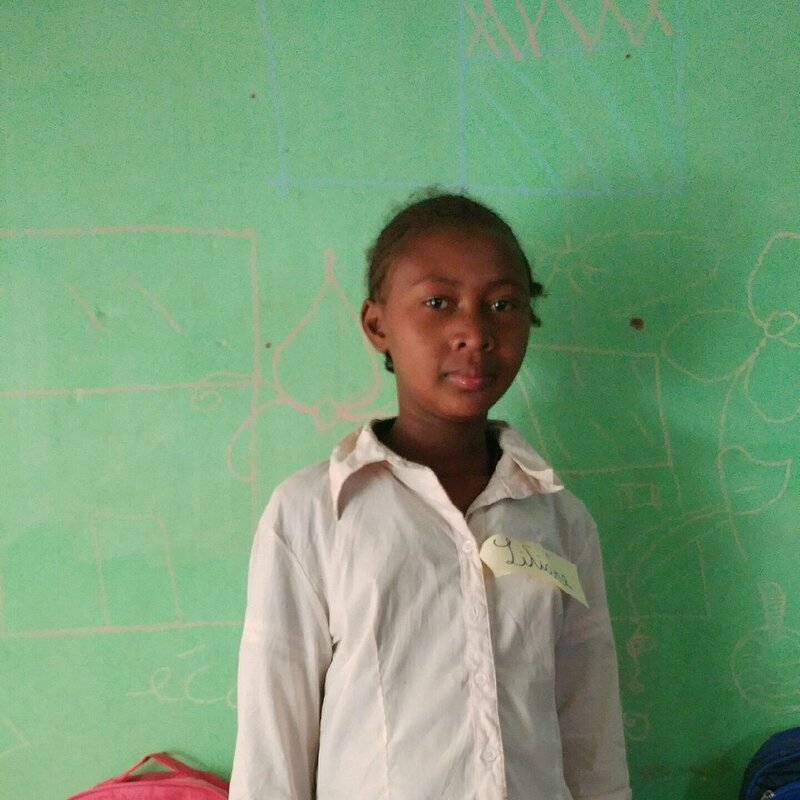 Your money helps us pay for teachers, purchase curriculum and school supplies, and provide other resources needed to educate a child in Madagascar. Sponsorship is FOOD! The parents of children in our program dig through trash daily to find things to sell so they can feed their children. It is a desperate situation which yields little profit and leaves many children suffering from hunger because of it. Redeemer's Friend feeds each child breakfast, snack, and lunch Monday-Friday. Often this is the only food that is given to the kids throughout the week. Your ongoing contribution will assure your child has a consistent, staple diet which will improve his/her health tremendously. Sponsorship is CLOTHING! Many of our children have clothes falling off their back from the wear and tear of wearing the same outfit for years. Your funds enable us to buy them new clothing, shoes, and other items to keep their bodies covered and feet protected from disease and sharp objects. Sponsorship is CHRIST'S LOVE! Providing education, food, and clothing is a tangible expression of Gods love and compassion for all his children. However, a truly changed life comes with the knowledge of Jesus Christ and hope is found when one experiences his amazing grace. Redeemer's Friend seeks to answer the call to go, proclaim the Gospel, and make disciples of of all nations. Our staff's main priority while caring for and educating these precious ones is to to demonstrate the love of God and teach them about their Heavenly Father. We do this by including bible lessons during school hours and assisting the parents in raising their children up in a godly manner. Alfred is the oldest in the program. 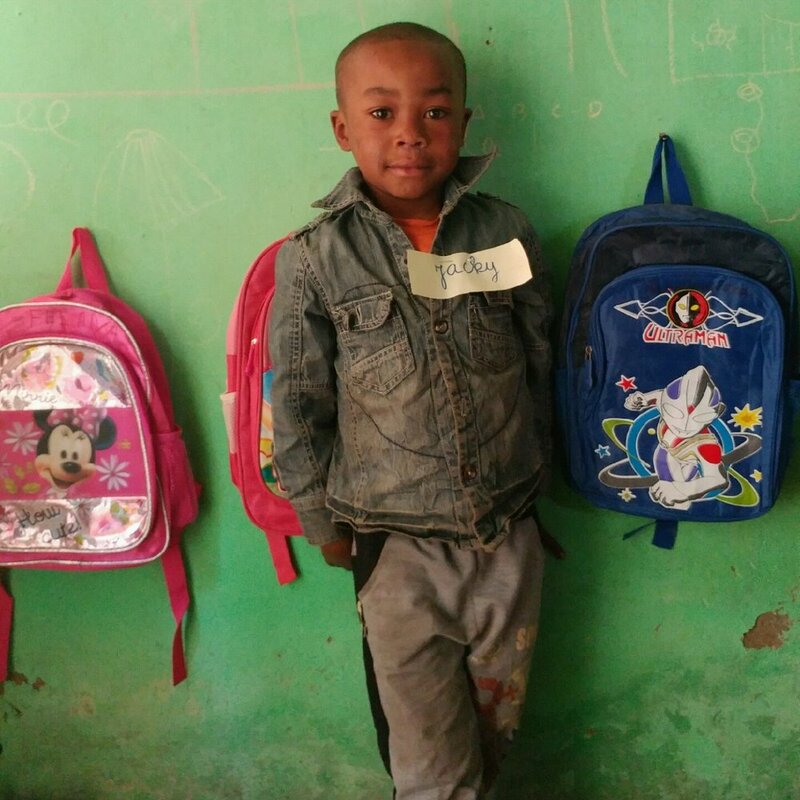 He has never been to school before and so he is learning how to read and write along with everyone else in the classroom are younger than him. 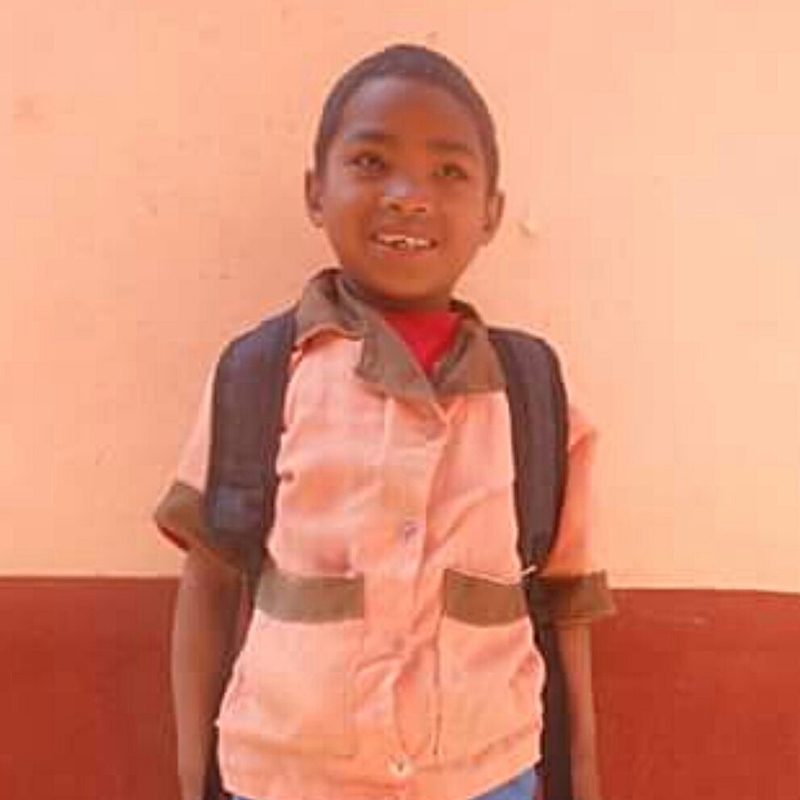 Avotra is a 7 year old boy, orphaned at a very young age. He and his 3 brothers live with their grandmother who collects trash around the town for a living. Before we met this family, they were in such a desperate situation that they we were told that when the mother died, they could not afford to bury her so she had to stay in their small shack with her until they could afford to bury her. Doris is a young 9 year old in our school who is silly and fun and upbeat. He is always giggling and playing a joke on the kids or the teacher. Doris can be found running around in the classroom, doing silly things to make his classmates laugh. Doris is a curious boy. Erika is an 8 year old girl who is the sister of another child in our program and comes from a single-mom family. Because of poverty, her mom often engages in drinking alcohol and chewing tobacco, and the latter one has actually become an issue for Erika herself. His name means hope. He is 7 years old. What we love about him is that he is always playing eye tag. We often look over at him to find him looking away and giggling. Federic is a 10 year old boy best known for his smile. You will always see him with a happy face regardless of what is happening at home. Fetra is a bright and playful 8 year old that can be found laughing in the corner with one of his friends as he finds a way to cause a classroom disruption. Because he comes from an unstable home, he has trouble with the structure of the classroom. Finoana is one of the youngest little girls in our group, as she is only 3 years old. To be honest, in terms of learning actually how to read and write, she isn't there yet, but we have at least been able teach her about who Jesus is and try to guide her toward Christ. Jacky is an 8 year old boy who has a sister in our program. School seems to be too easy for him. He picks up on things very quickly and often goes around the classroom helping other kids learn. 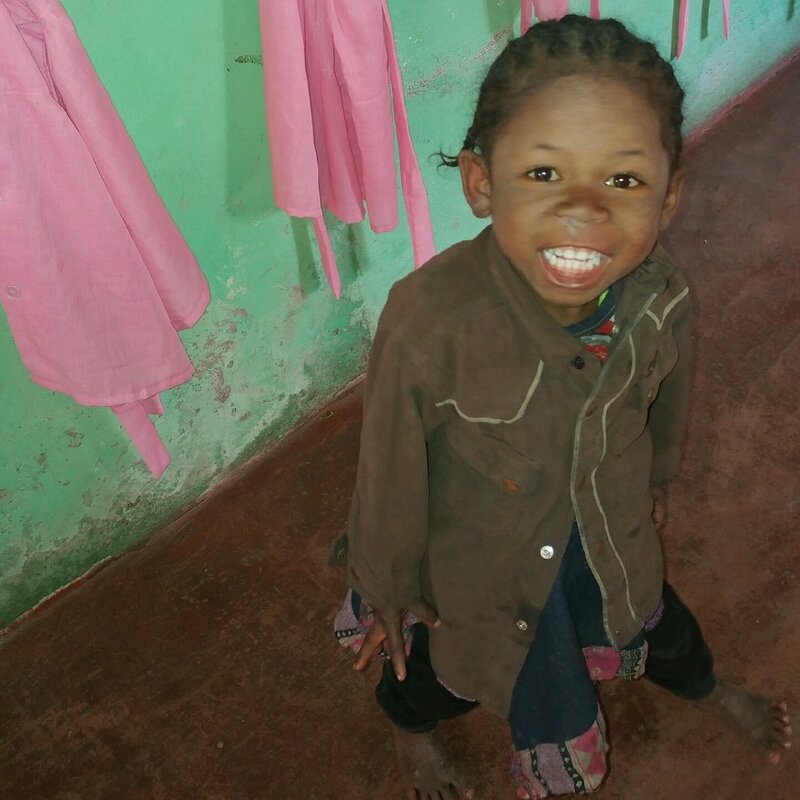 Jeanot is a 5 year old boy, orphaned at a very young age. He and his 3 brothers live with their grandmother who collects trash around the town for a living. Before we met this family, they were in such a desperate situation that they we were told that when the mother died, they could not afford to bury her so she had to stay in their small shack with her until they could afford to bury her. This is Jessica. 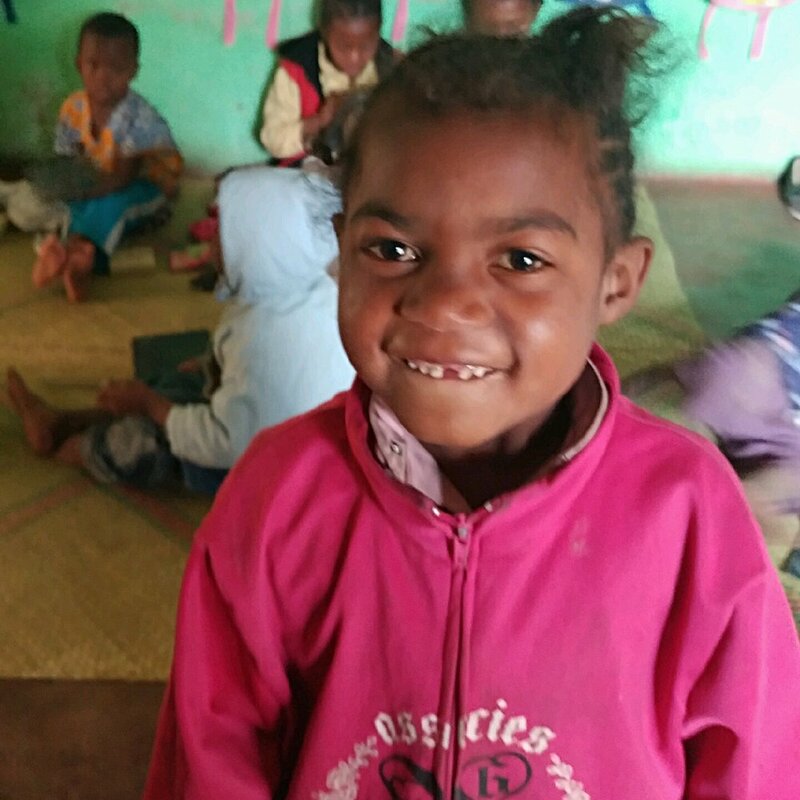 She is a 6 year old who often goes under the radar because she doesn't talk much nor is she a fighter like her classmates, but you can be sure that there is always a smile on her face. Lilliane is a bright and very disciplined 10 year old who has been set in charge of keeping the class in order. She is often the teacher's helper and has gained the respect and obedience of the younger classmates. This is Mahandry. He is a 4 year old boy that, like any 4 year old, has a difficult time focusing in a classroom of mixed ages. Thankfully we are able to feed him breakfast, snack, and lunch daily, as well as teach him the basics of coloring, counting, and whatever else his young mind can fixate on. Nambintsoa is a 7 year old whose family background we are not sure of. What we do know is that when he first entered our program, we saw the effects of poverty in the form of a wound on his foot. Sandra is referred to as "Sandra 1" in our classroom because there are two little girls with the same name. She is 7 years old and is constantly looking for a way to climb into the laps of one of the staff and cuddle with them. This cute 7 year old is who we call "Sandra 2" in our classroom, as there is another Sandra in the midst. The first time she entered into our program we noticed how sweet and obedient she is. This is Sidonie, also known as Christinah. She is a lovable 3 year old who cannot sit still for more than 3 minutes. She is often found running around in circles, giggling, and holding on tightly to either the staff or the teacher. This is Stephane. He is a wild little 4 year old who is always laughing. His favorite thing to do is to play ball and sing songs. His best friend is Mahandry, who is also in our program. This is Tatamo. She is 10 years old and assists her best friend, Lilliane, in taming the younger kids in our program. She's very responsible and very shy. Sabrina is a 9 year old who loves to have fun. 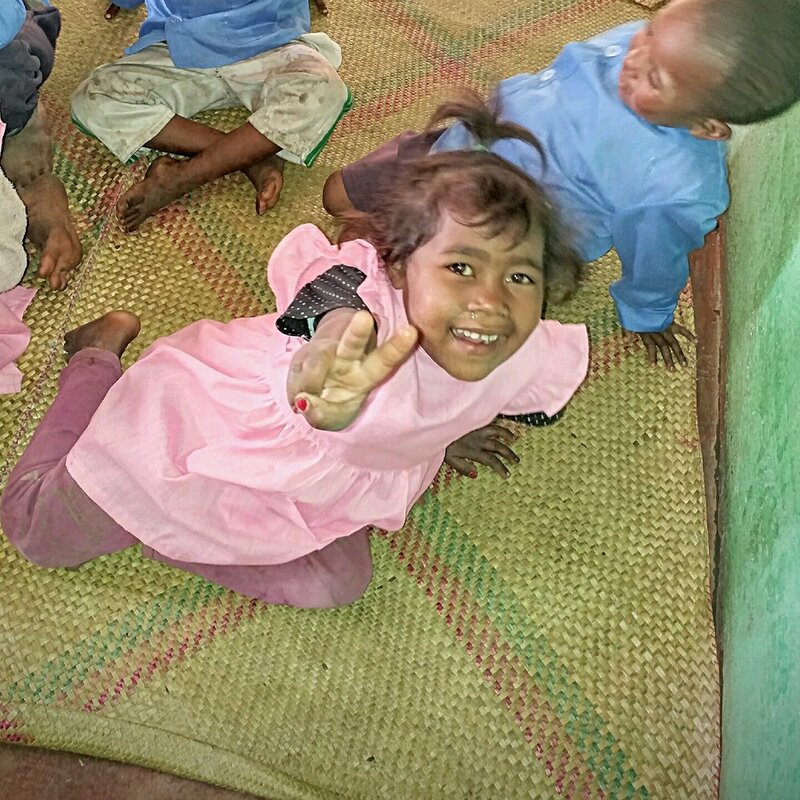 She is enthusiastic about playing the games the teacher creates to help teach the kids and she loves singing songs.